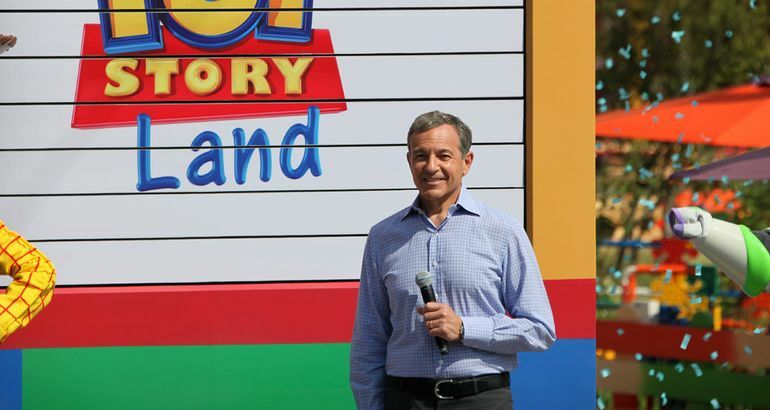 When 21st Century Fox and Disney each bring shareholders together on Friday to vote on whether the companies should merge, the two people who struck the $71.3 billion deal — Rupert Murdoch and Robert A. Iger — will not be in attendance. Mr. Murdoch, who controls the Fox entertainment empire, and Mr. Iger, Disney’s chief executive, have each decided to have lawyers run the separate meetings, according to three people briefed on the matter who spoke on the condition of anonymity to discuss private plans. Christine M. McCarthy, Disney’s chief financial officer, and her counterpart at Fox, John P. Nallen, are also expected to participate. The shareholder meetings, which are scheduled to take place simultaneously at the New York Hilton, are required under securities law, but the business conducted will be rather perfunctory. Most of the voting is expected to be completed by proxy by the time the sessions start and the merger is likely to be approved by a wide margin. The meetings were originally scheduled for July 10 in Manhattan. But the companies pushed them back after Comcast made a late bid for the Fox assets and Disney responded with a revamped offer. Comcast has since dropped out of the bidding. The new date conflicted with an overseas business trip that Mr. Iger had scheduled. He ultimately opted not to change his plans, according to the people briefed on the matter. Mr. Murdoch similarly decided to keep a commitment in California. James Murdoch, Fox’s chief executive, and his brother, Lachlan, Fox’s executive chairman, will also stay away. At the Disney meeting, shareholders will vote on one item. Disney’s increased offer is made up of an equal mix of cash and stock — $35.7 billion in cash, 343 million shares — and Disney investors must approve the issuing of those shares. Fox shareholders must vote on proposals that enable the sale to Disney and create what the Murdochs have been calling New Fox, which will be formed from assets that Disney is not buying, including Fox News, the Fox broadcast network, a chain of local television stations and the FS1 sports cable channel.